Here at Goodtime Print Design (Digital) Ltd in Kent we offer a complete full colour printing service through our digital or litho printing machines. One of our core services relates to our A4, A5 and A6 leaflets for both design and print. When it comes to A6 leaflet full colour printing or even A4 and A5 you have two options depending upon the quantity you require. High quantity full colour printing generally goes through our litho printing machines here in Kent as they are designed to print in mass in both high quality and affordable price structures. Should you be working on a lower quantity basis we generally use our digital printing machines, at our base here in Kent, as they are fantastic with quality when it comes to full colour printing and offer low run volumes making them accessible for even the smallest of promotional campaigns. These full colour leaflets are printed on 130gsm good quality gloss paper, prices are for single and double sided leaflets. Artwork needs to be in the correct format so please ring for clarification of sizing etc. 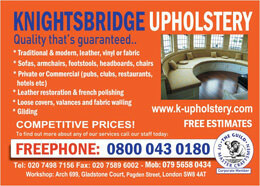 for all of our A6, A5 and A4 leaflets. Delivery is normally 7-10 working days throughout Kent, London and the UK. Additional delivery charges to Scottish Islands/Highlands, NI & Eire. As you can see our prices are competitive and as previously mentioned we offer only the highest of quality full colour print on all A5 leaflets, A4 leaflets and A6 leaflets. Full colour leaflets printed on top quality 130gsm gloss paper. You may send in your own artwork via JPEG or PDF files to us here in Kent. Otherwise we can do the design for you. Please ring for clarification of sizing etc. As we strive to deliver the very best quality on all of our leaflet full colour printing you will see our prices are very competitive. Our turnaround time is generally 7-10 working days for orders not only in Kent or London but throughout the UK. However due to the weight of your parcel additional charges will incur for delivery to Scottish Islands/Highlands, NI & Eire for all of our printed leaflets.